Looking for a Space marine space marine Tshirt? 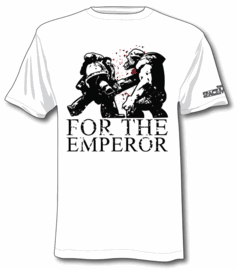 This blog offers the complete list of Space marine Tshirt repertoire! From the awesome symbolism to the sacred icons of the imperium, you shall not be dissappointed! In this blog you will learn which Space marine Tshirt is for you, where you can get one and more on space marine chapters! 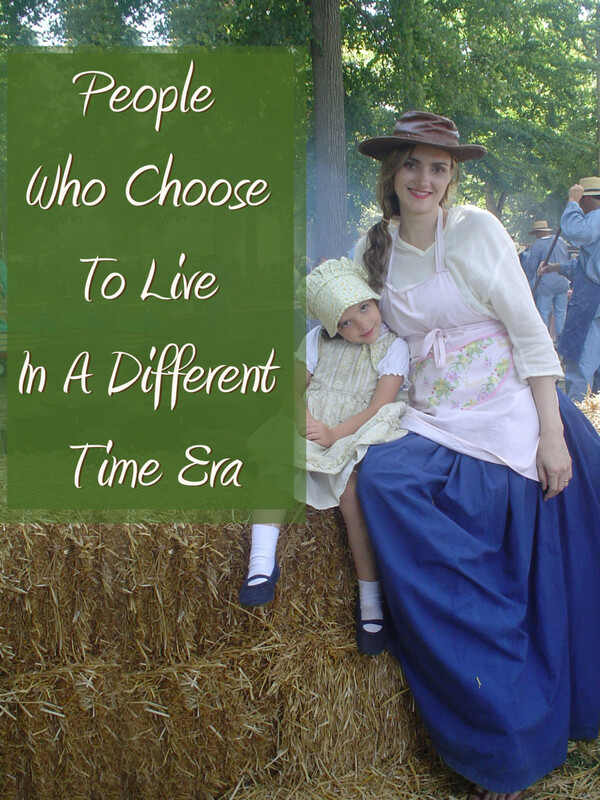 Enjoy the read and remember to drop a comment! Space marines are the most popular race of Warhammer 40k. 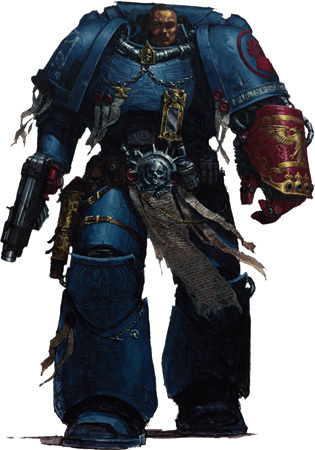 Their lore is founded on the history of the crusades, which the space marine chapters more or less live. Just like crusaders Space marines are a monastic millitary order, an elite band of battle brothers. They are fanatic beyond doubt, determined to bring victory or die trying. Â»And they shall know no fear!Â« is one of their main mottos and they live by it. They are the elite of the imperium, the hammer to the Imperial guard anvil. As such servitors, techmarines, forge worlds and the Adeptus mechanicus take great care of their armor and their weaponry. As such they are always equipped for battle, carrying the strongest weapons, the hardest and heaviest of armors into battle! These weapons and armors are all masterpieces by themselves, carried over from generation to generation. They are worshiped, sometimes even called relics. Space marines also carry a large amount of symbolism with them. Different chapters carry different symbolisms, from the Imperial Aquila, a beautiful golden eagle, to seals of protection against the warp. Many inscriptions and markings offer the space marine protection. On the other hand, to lighten the topic, these symbols make the space marines stand out from the regular mortal humans and make them distinguishable. 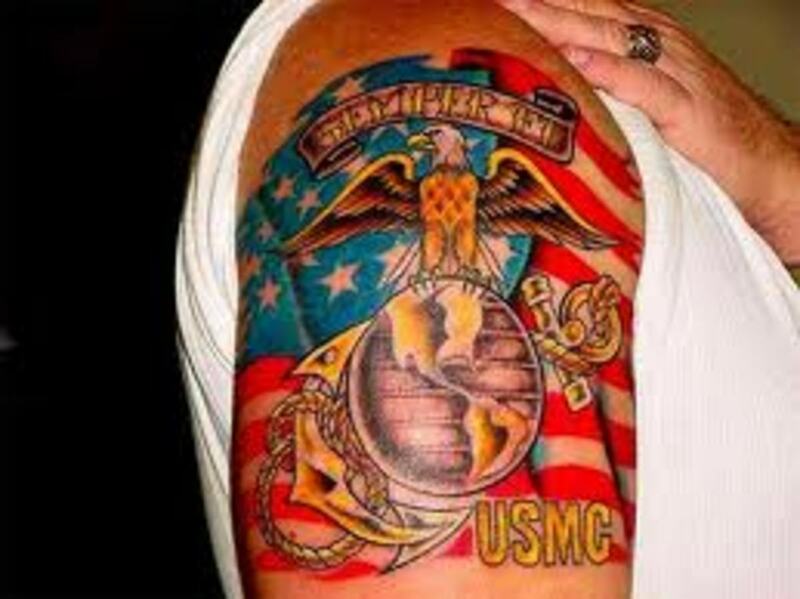 You know where the marine comes from when you se him by his emblems. And so should your friends know which Space marine chapter you support by proudly wearing a space marine Tshirt with the emblem of the chapter you associate with! 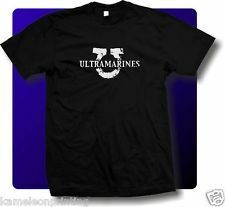 Ultramarines/Blood Angels/Red scorpions/Silver skulls Tshirts - Get your space marine Tshirt here! Do you appreciate the disciplined nature of the Ultramarines, the famous exemplar chapter of loyal space marines? Or are you a fan of the Blood angels, space marines with a bloodlust and berzerker tactics? Close combat angels of death? Are you a Red scorpion, worshiping the Emperor and purity above all else? Or a Silver skull, prefering to keep a head collection of your enemies? Blood ravens/Salamanders/Raptors/Pretors of Orpheus - Get your Space marine Tshirt below! Do you prefer the psycher boosted Blood ravens who are suspiciously well versed in playing with the warp? Is knowledge your power? Or do you prefer a well made, or shall we say masterfully made weapon in your hand with which to slay your enemies? They you want to join the Salamanders! Do you prefer to infiltrate and use sabotage to achieve your goals? You are a Raptor! Are you a technological mastermind like the Pretors of Orpheus? Are you a Dark angel fan and prefer heavy hitting tactics and hunting the brothers that betrayed you? Or a Dark templar, a crusader on an everlasting crusade to redeem thy self? Then this is the Space marine tshirt for you! A Howling griffon taking oaths and living a balanced life? Or a member of the Genesis chapter, a support chapter of the Ultramarines? Raven guard/Iron hands/Novamarines/Angels of redemption - Warhammer 40k t-shirts here! Are you a Raven guard, preffering to fight fast guerilla tactics against your enemies? Or do you prefer to wear the Space marine tshirt of the Iron hands, being machine and marine, a blend that scares most men? A Novamarine exterminating the alien? Or an Angel of redemption, obsessed with hunting the Fallen to ever greater extent than your sister chapters? Crimson fists/Space wolves/Aurora marines/Imperial fists - Great warhammer t-shirts! Do you prefer to wage war against the fiendish orks and wear beautiful armor? Join the Crimson fists (not being mockful i love their art!). Or a rebelious Space wolf living your life in the pack and not bending your will to anyone? Wear a Space wolf tshirt! Are you an armored assault specialist the likes of the Aurora marines? Are you a siege expert the likes of the Imperial fists?